Ashley Dawson's Extreme Cities: The Peril and Promise of Urban Life in the Age of Climate Change is on sale for 50% off through Sunday, March 18 as part of our Politics of Climate Change reading list. In November, The Center for the Humanities at CUNY hosted a discussion — cosponsored by Verso and the Art, Activism, and the Environment research group from the Seminar on Public Engagement and Collaborative Research — hosted a discussion on the future of cities in the face of climate chaos, with contributions from Ashley Dawson, David Harvey, environmental justice activist Mychal Johnson, and architect Catherine Seavitt. Humanity is now a predominantly urban species, but the cities we inhabit are riven by deepening economic and social stratification. Megacities like New York, Miami, Mumbai and Jakarta are also on the frontlines of gathering climate chaos, vulnerable to extreme temperatures, rising tides, and increasingly violent storms. What are the underlying dynamics of the capitalist world system that are driving unsustainable urbanization? How are governments, civil society organizations, and social movements seeking to adapt to the increasingly perilous character of urban life? What prospects for radical transformation and social justice lie in the cities of the future? 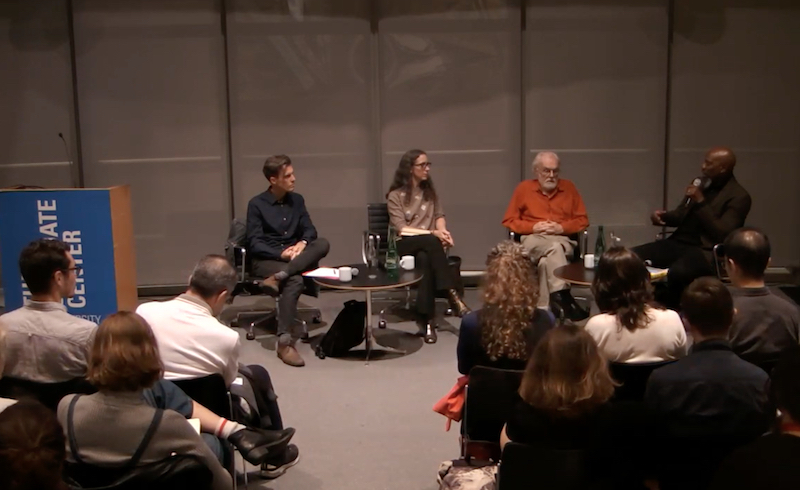 Join Ashley Dawson, author of Extreme Cities, urban theorist David Harvey, environmental justice activist Mychal Johnson, and architect Catherine Seavitt for a discussion of urban futures. Watch a video of the conversation below.